How to unlock any iPhone, including the iPhone 7, 8, iPhone X, or even the latest iPhone XS or iPhone XR. 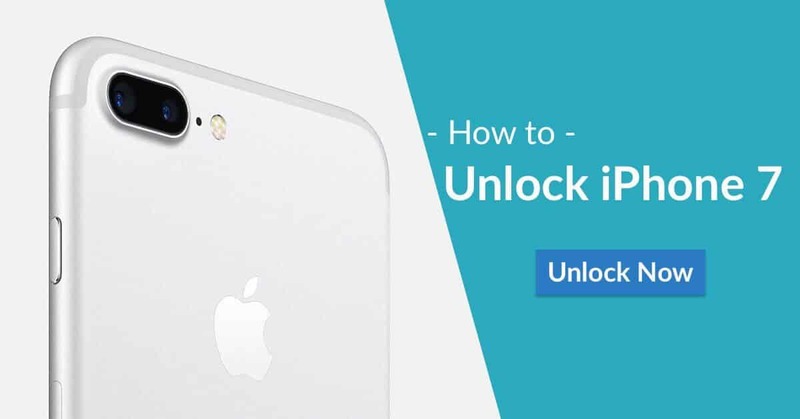 Our free guide helps you to get your iPhone unlocked, from any of the UK mobile networks, permanently. No need to jailbreak your iPhone or any other hack — just an easy permanent way to unlock your iPhone. There are a lot of reasons to unlock your iPhone. Maybe a friend or member of the family has upgraded to a new iPhone XS and passed you their old iPhone 7. Maybe you have bought one second hand or maybe you just want to change phone networks. Another big reason is that it is possible to switch to a cheaper SIM-only tariff, which can save you a lot of money (around £200 per year) compared to a standard iPhone contract. In this article, we outline how to unlock an iPhone from the UK's major networks, and an alternative official method of unlocking iPhones if that isn't an option or if your iPhone is from a non-UK network. When you first get your iPhone it will typically be 'locked' to a mobile network, such as Vodafone or O2. This means it'll only work with SIM cards from that network (e.g. an iPhone locked to O2 will only accept SIM cards from O2). Generally when you want to unlock any other type of phone, you take it to a local phone shop and they unlock it for you. But unlocking an iPhone is different. The status of the lock is stored on Apple's computers, so even if you pay a shop to unlock an iPhone, it's only ever a temporary solution. At some stage, normally when a new iOS is released, Apple will lock the iPhone again to the network that it was originally on. The only way to unlock iPhone is to have the mobile network contact Apple and inform them that the phone is now unlocked. The good news is that generally this is a pain-free, and cheap process. It has now become even more pain-free to unlock iPhone because DirectUnlocks allows you to bypass the phone network and get your iPhone unlocked within 24 – 48 hours. And it's now even cheaper. This is great news if you are on EE, T-Mobile or even Vodafone. We have had feedback from customers saying that sometimes dealing directly with those networks can be "awful", with iPhone unlocks sometimes taking more than 30 days to happen if you go directly to the network. With DirectUnlocks you can permanently unlock iPhones from these networks very quickly. They can also unlock an iPhone XS or iPhone XR before any of the networks offer the same service. Most iPhones are sold locked to a phone network, so you'll need to unlock them first before using a SIM card from a different network. In this free guide, we'll discuss the iPhone unlocking procedures for all athe UK's major networks. You'll need to follow them before you can swap to a SIM-only tariff or use a cheaper local SIM card when abroad. DirectUnlocks — unlock any iPhone. Unlock iPhone XS or XS Max. Unlock iPhone 8 & iPhone 8 Plus. Unlock iPhone 7 & iPhone 7 Plus. Unlock iPhone 6s & iPhone 6s Plus. 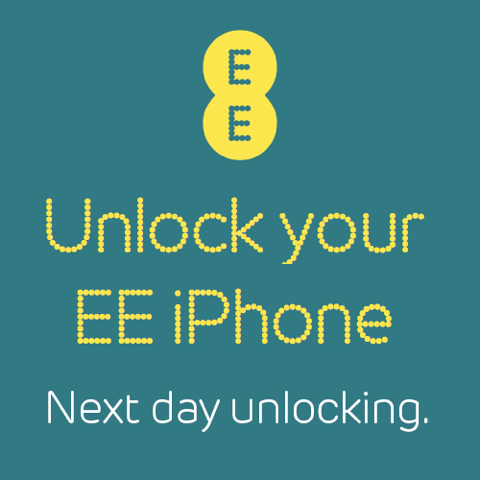 Unlock EE iPhone (Orange or T-Mobile). It is perfectly legal to unlock iPhones in the UK. Individual countries within the EU have their own laws regarding SIM locks, but EU law was used to overturn a law in Belgium, which made it more difficult to unlock phones. So the good news is that the right to unlock your iPhone is double protected, both in the National Parliament and the European one. Mobile phone companies lock iPhones to their network because they have spread the cost of the phone over the length of the contract. In my opinion, it shouldn't really matter what you do with your iPhone as long as you continue to pay your contact, but they claim that they are ‘subsidising' the price of theiPhone and they don't want you to take their subsidised iPhone and to use it immediately on a different network. After you have owned your iPhone for a certain period of time (sometimes as little as 30 days), you can ask your network to unlock it. All UK mobile networks will normally unlock it, although some charge a small unlocking fee. 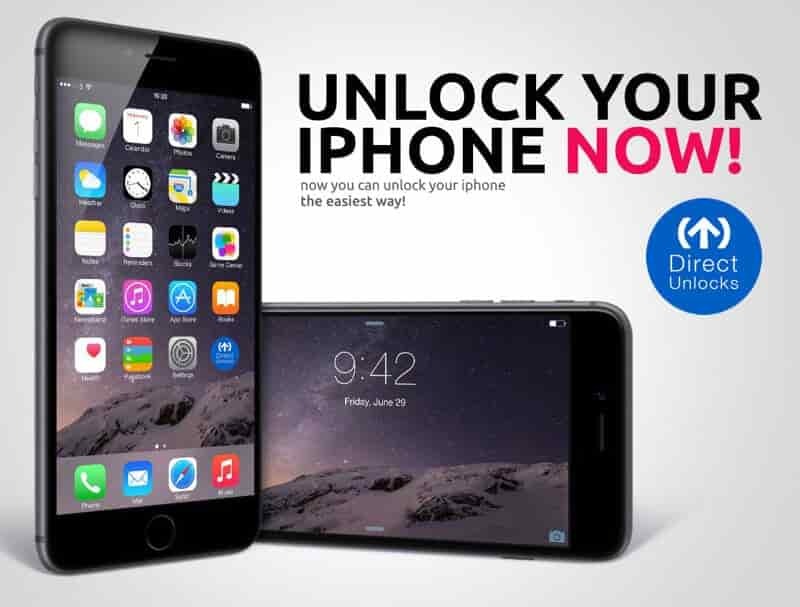 If you want your iPhone unlocked without having to go to the mobile provider then visit DirectUnlocks, who can unlock iPhones from any network. In this article, I only talk about the official ways to permanently unlock an iPhone. You may find other unofficial methods of unlocking your iPhone on the web, such a "jail-breaking", "Gevey Sims", RSIM, SAM and Ultrasn0w, but the best advice I can give you is that it's not worth it. These methods might offer to unlock your iPhone by offering you a code to type in or software. There's no guarantees that these methods work: a lot of them of them are scams to take your cash and fail to unlock your phone whereas others could render your phone unusable. Some methods will successfully unlock your iPhone by "jail-breaking" but the unlock is only temporary – Apple regularly update the software on the iPhone and fix these loopholes that let them be jail-broken. When you update the software on your phone it will lock it again. At the very least, your warranty could be cancelled if you unlock your iPhone in an unauthorised way. Do some research ensure that you fully understand what you're doing if you choose to unlock your phone another way. Which iPhones can I unlock? The methods of unlocking your iPhone that are described on this page should work with any iPhone purchased in the UK. This includes the iPhone X or iPhone 8 range. As these are official unlocking methods, they will work regardless of your model and your current version of iOS. Is an unlocked iPhone really cheaper? If your contract has finished then you can usually save around £300 per year by unlocking your iPhone and switching to a SIM-only contract. Just make sure that the SIM-only contract has a data allowance. The "data" allowance is the amount of time that you can spend online using your iPhone. Before you start the iPhone unlocking process, you will need the IMEI number of your iPhone. This is a unique serial number. Go to your iPhone number dialing keypad and type *#06# (star-hash-zero-six-hash). The IMEI number will appear on your screen. In the iPhone menu, go to Settings >General >About. The IMEI number should be listed on the screen. Connect your iPhone to iTunes on a computer. On the information page, click on the phone number. This tells you several pieces of information about the iPhone, one of which is the IMEI number. It's probably best to write down your IMEI number (it should be 15 digits long) and make sure you provide the correct IMEI number when unlocking your handset. The iPhone 7 launched in September 2016, and the iPhone 8 in September 2017. With the release of any new iPhone, there are the questions about whether unlocking it will be different than the previous models. Will the mobile networks have asked for new locks to be put on? How will it be different from the previous model? What is the camera like? Megapixels are super important. Will it be faster than the previous model? And the most important question of everyone who gets trapped by the mobile networks: When will it be possible to unlock the new iPhone? As usual, I would not expect any of the networks to offer unlocking services for the iPhone 8 immediately because they like to keep people on high contracts. But if you do have an iPhone 7 or 8, and you want to unlock it, visit DirectUnlocks and they will be able to do that for you. Unlocking an O2 iPhone is very easy. The easiest and quickest method is to visit DirectUnlocks. They won’t need you to remember your original account password etc or jump through any of the other hoops that O2 make people go through. In the majority of cases they can unlock your iPhone the very same day (Monday – Friday), and they can unlock iPhone 6 and 6s which is something that can't normally be done directly from O2. If you did buy your iPhone from O2 and you are a Pay Monthly customer then you can ask O2 to unlock your iPhone at any time, as long as it not an iPhone 6 or 6s (including the plus models) (They say that they have no plans to offer unlocks for the iPhone 7 any time soon.) You will have to fulfil the minimum term of your contract (so you can't cancel your contract early just because they have unlocked your iPhone). But don't wait until your contract is over if you plan to use O2 to unlock the iPhone. In cases where the iPhone is out of contract, even if you have paid 24 months to them, they class it as an "Non-O2" iPhone and will expect you to pay for at least 30 days of Pay-As-You-Go SIM use before they'll begin the process. If you have a standard O2 Pay-As-You-Go SIM card, where you need to buy top-ups, then you will need to wait 12 months before O2 will unlock your iPhone. If you bought the iPhone from someone else then you won't normally be able to get O2 to do the unlocking, because you're not the original customer. But that doesn't mean you can't get your iPhone unlocked. Visit DirectUnlocks and they should be able to unlock your iPhone in a day or so. If you bought your iPhone direct from Vodafone and the contract has not ended then Vodafone will normally unlock your iPhone for you. It takes about 2 weeks and they charge a fee of £19.99 on Pay Monthly or Pay As You Go. If you are on Pay As You go, make sure that you have at least £20 worth of credit on your iPhone before you ask them for an unlock, as they take the fee from your credit. If you are not the original owner of the iPhone, for example if you bought it from eBay or privately from someone else, then you may not be able to get Vodafone to do the unlock for you. DirectUnlocks offer iPhone unlocks for Vodafone, that are completed in 1-3 days, even if you were not the original owner. So, if you want it done faster, or if you are not the original owner go directly to DirectUnlocks. iPhones that are locked to Three are one of the easiest to get unlocked. On weekdays (Monday – Friday), DirectUnlocks say that they can unlock an iPhone locked to Three in a matter of hours. When you compare that to how long a network like EE takes, it's excellent. When using DirectUnlocks, there is no restrictions on time — so you don’t need to have had your contract for any amount of period or use a Three Pay-As-You-Go SIM for 30 days. Just click on DirectUnlocks and follow the instructions for Three. I've unlocked my iPhone. What's next? Once you've told your mobile network that you want to unlock your iPhone and made the necessary payments, they need to inform Apple. Apple maintains a central list of unlocked iPhone devices and it can take up to 14 days for your iPhone to be added to this list. Once your device is on the list, you'll need to connect it to iTunes to complete the unlocking process. A message should pop-up in iTunes to let you know that your device has been unlocked. How can I check if my iPhone has been unlocked? The easiest way to test whether your iPhone has been successfully unlocked is to insert a SIM card from a different network. All the UK's major mobile networks offer free Pay As You Go SIM cards. If you've unlocked your iPhone through the methods discussed on this page, you will see a message that says, "Congratulations, your iPhone has been unlocked", in iTunes. This happens as soon as your unlocking request has been processed. What about shops that offer to unlock iPhone? Some newsagents and phone shops may offer to unlock iPhones. They will usually do this by "jailbreaking" your device. This is not a recommended method of unlocking iPhones because it isn't a permanent unlock. You will need to jailbreak the phone every time that Apple releases a new software update. It may also invalidate your iPhone's warranty. The only official way to unlock an iPhone is either through your mobile network operator using the methods listed on this page, or by using DirectUnlocks. We strongly recommend paying the small fee to unlock iPhone officially and legitimately. It's the only way to be sure that your unlock will be permanent. Can I unlock my iPhone for free? More and more mobile phone networks are offering iPhone unlocks for free. Each has their own terms & conditions, for example some will only unlock the iPhone for free if it is the original owner who is applying. You should contact your network provider for more information.